Hiring an intern may be a budget friendly way to get help for your business, but it takes the right strategy and process. For many small businesses, hiring an intern appears to be a budget friendly way to get the help you need. While this can be true, hiring an intern takes as much time, if not more, than hiring a full-time employee. On the surface, it seems simple. But, if you want to create a mutually beneficial relationship for you and your intern, take the time to create a strategy and process. Hiring an intern by using The YOLO Principles — clarity, consistency, culture, and communication. This sets you and your intern up for success. If you haven’t read The YOLO Principle you can grab your copy here or on Amazon. Using the four YOLO Principles, consider these 10 things. 1. Know why you’re hiring an intern. Before you start, spend time thinking about why you need an intern and how you can use their talents and skills. 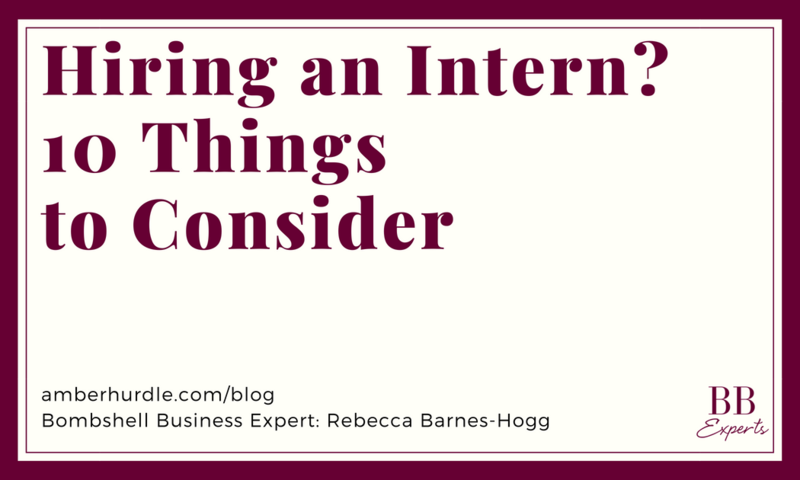 For the intern, their goals might be to gain experience and exposure to start their career. You may want something different from your intern. So, you’ll want to make sure you can get what you need and provide your intern with the experience they want. Employment laws also cover interns. The Fair Labor Standards Act (FLSA) sets rules for minimum wage, overtime, child labor, and internships. You must pay your intern according to the law. The Department of Labor does allow unpaid internships. They use seven factors to determine if an unpaid internship is legal. Like most relationships, it’s complicated. Make sure you understand the requirements or seek help from an employment attorney. 3. Dive deep into skill sets. Internships are typically a short duration—summer months and school breaks. You won’t have a lot of time to teach new skills. Before you hire, consider the type of work your intern will do and what skills they have now. If you are time crunched before hiring an intern, you won’t have time for training after they are on board. This is critical. You want your intern interested and engaged in the work you do. You do not want them causing chaos and drama for your team. Understand the personality traits, attitudes, and mindsets you’ll need in your intern. 5. Know why the intern wants to work with you. Like any relationship, both parties expect something. You clarified your expectations and will want to do the same for your intern. You want to know what your intern wants to learn, accomplish, or experience while part of your team. Make sure it’s something you can provide. Hiring an intern must follow the same steps as hiring an employee. Because people can exaggerate or stretch the truth, you’ll want to verify what the intern has told you. You’ll also want to verify cultural fit. Ask questions that help you understand your intern’s personality and attitudes. Like an employee, your intern will need clear goals and performance expectations. You’ll have to give constant direction and feedback. Remember, interns lack experience. They are looking to you to provide them with an opportunity to test what they’ve learned in school. 8. Look to the future. Hiring an intern doesn’t have to be a one-shot wonder. You may want to provide a full-time position when your intern graduates. You might want to keep your intern for all their summer and holiday breaks. Many interns love knowing they have a job waiting for them when they graduate. 9. Know where to look. Hiring your neighbor’s or a family friend’s child may not be the best way to go about hiring an intern. While this is a quick way to hire, you may find the cultural fit or interest in your business simply isn’t there. Instead, plan ahead. Be ready for spring and fall job fairs at local colleges, universities, and trade schools. Internships can be valuable and rewarding experiences for you and your intern. You will likely want to hire more interns in the future. Document your processes. Evaluate what worked well and what didn’t so you can avoid reinventing the wheel. Hiring an intern can be rewarding and challenging. Or, it can be awkward and painful. You get to choose. Have questions about internships? Post them in the Bombshell Business app and I’ll respond. 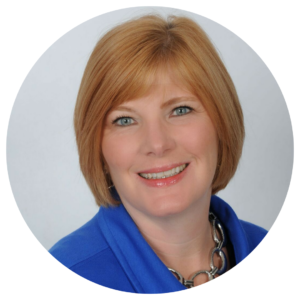 If you want additional information about how to use The YOLO Principle to help you hire the right employees, click this link to schedule a complimentary Insight session.